In my last post PLM kills Innovation or not, I tried to provoke PLM vendors to respond to my claim that PLM has too much a focus on structuring data (and therefore removing freedom) claiming it blocks innovation as everyone believes innovation requires freedom and flexibility. This statement is often heard from startups claiming implementing any type of management would kill their competitive advantage. Still in the PLM marketing world everyone mentions PLM and Innovation as Siamese twins, but no one explains explicitly why they are connected. So not too many reactions from vendors but some interesting comments from others to this post. Andrew Mack mentions that we should not confuse Innovation and Invention as for native English speakers there is a clear distinction. I agree with him however as most of my blog readers are not native English speakers I will explain the difference in this post. Invention, the creation of a new idea that might be the golden egg for the future of a company. It is often the result of one or more individuals- not something a systematic approach or system will bring automatically. If you look how big companies handle with invention, you see that often they do not manage it. They look around the world for , or sometimes get approached by, startups that have a concept that fits to their portfolio and they buy the company and concept. This is of course a very disconnected way of invention, but from the other hand, the drive from many startups is to work day and night to develop a concept and ultimately sell the company for a good price. Compare it to the big soccer companies that have only money (currently mainly Russian or Arabic) but no own youth development plan to raise new talents. So it is a common way for companies to acquire invention (and promote innovation). But I believe there is also a way companies can stimulate invention by implementing the modern way of PLM (PLM 2.0 – see my posts on that) and not use PLM as an extended PDM as I described in PLM What is the target. When a company has implemented PLM in a PLM 2.0 approach, it means there is a full visibility and connection of all product data, customer demands (through sales) and experiences (through service) for an R&D department to innovate. Why this does not happen so much? The second area where PLM contributes to innovation is assisting companies to select the right opportunities that can be the next big opportunity for these companies. In case you have many opportunities, which one would you select and invest in ? As usually it unaffordable to invest in every opportunity usually and knowing at this stage you are not sure if a particular opportunity will lead to a profitable new product, you need a process and tool to select the right ones. Here comes portfolio management as a functionality that allows companies to have an overview of all running initiatives and through reporting on key performance indicators (KPIs) being able to select the opportunities where to invest. Once you have selected an opportunity and also as part of the portfolio management process you feel secure, there is the third step. How to bring this opportunity to the market as fast as possible, with the right quality and the right manufacturing definition? As being first on the market gives you market share and premium pricing. Also as changes in the early manufacturing stage and later during the go to market phase are extremely costly, it is important to bring a new product to the market as fast as possible in the right quality, avoiding changes when the new product is in the market. This is the area where PLM contributes the most. Allowing R&D organizations to work on their virtual product definition and perform simulations, design and customer verifications. Also anticipate and resolve compliancy and sourcing issues in the early stages of the product development. 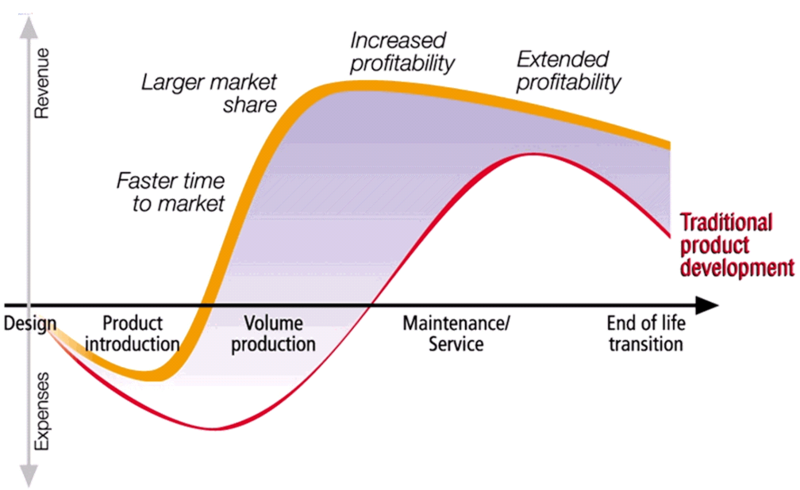 All this assures a reduction in the amount of iterations before a new product is ready to ´ hit´ the market. 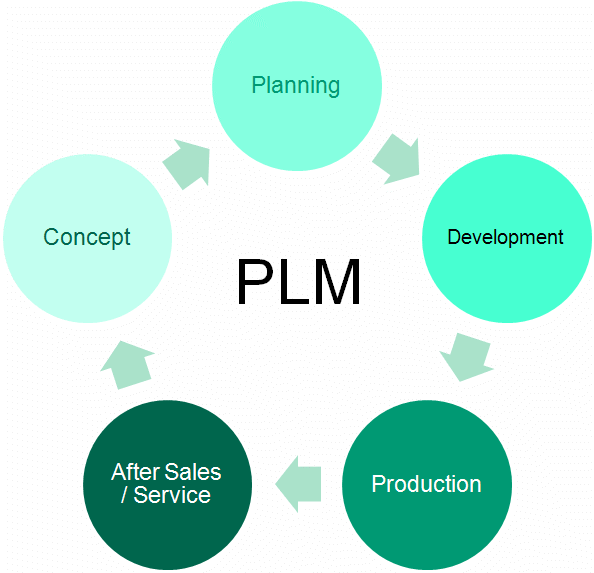 A famous PLM one-liner is for PLM is: PLM – doing it right the first time, it refers more to the fact that a product introduction process is done only once and with the right quality. It does not mean iterations to improve or change the product scope are not needed. « PLM KILLS INNOVATION or not ?